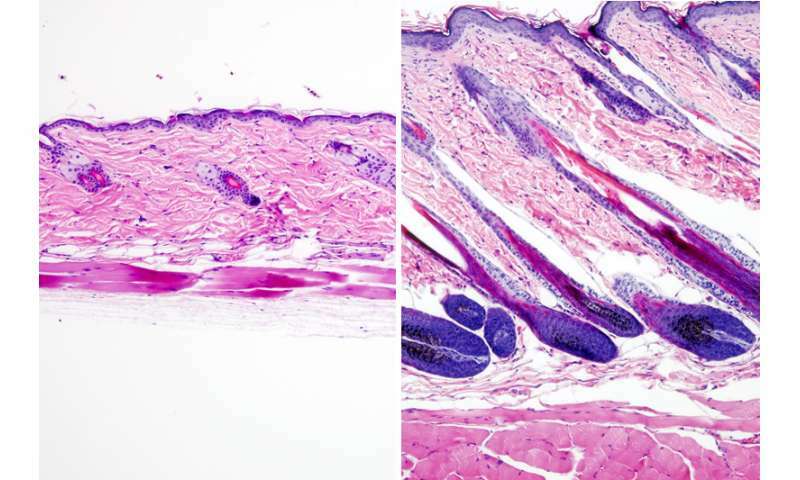 In this study, Christofk and Lowry, of Eli and Edythe Broad Center of Regenerative Medicine and Stem Cell Research at UCLA, found that hair follicle stem cell metabolism is different from other cells of the skin. Cellular metabolism involves the breakdown of the nutrients needed for cells to divide, make energy and respond to their environment. The process of metabolism uses enzymes that alter these nutrients to produce “metabolites.” As hair follicle stem cells consume the nutrient glucose—a form of sugar—from the bloodstream, they process the glucose to eventually produce a metabolite called pyruvate. The cells then can either send pyruvate to their mitochondria—the part of the cell that creates energy—or can convert pyruvate into another metabolite called lactate.